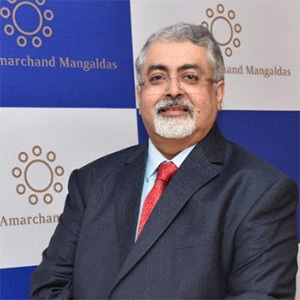 Law firm Shardul Amarchand Mangaldas & Co has elevated 16 lawyers as partners across its various practice areas, as per a statement. The firm has also appointed former general counsel of Cognizant Technology Solutions GV Anand Bhushan as head of its Chennai office. The newly appointed partners include Avnish Sharma, Anu Susan Abraham, Divi Datta, Ekta Gupta, Kanishk, Natashaa Shroff, Pooja Ramchandani, Promode Muruguvelu from the Delhi office and Anuj Bhasme and Roopal Kulsreshta from Mumbai in general corporate practice. For the Delhi office, Sandeep Chilana has also been elevated as a partner in the tax practice; Akhil Anand, Binsy Susan and Ila Kapoor have been elevated as partners for the litigation and arbitration practice and Muzammil Husain and Charu Mehta for the intellectual property practice. “We are exploring both organic and inorganic growth opportunities as part of our growth strategy and the recent round of promotions recognises our internal talent,” Shardul Shroff, executive chairman of the firm, said. These announcements are in addition to the lateral hires that the firm undertakes from time to time. With this, the total partnership strength of the firm has risen to 85 at its offices in New Delhi, Mumbai, Gurgaon, Ahmedabad, Bangalore and Kolkata.